Moving your practice to the cloud opens up a whole new world of services you can use to help your clients. Here Conrad Ford, CEO of Funding Options, explains how you can use digital transition as a platform to expand your revenues by moving into cash flow advisory. If all goes to plan, the impending introduction of the new Making Tax Digital strategy will provide businesses with a more up-to-date, real-time view of their financial situation. In theory, this should mean cash flow is easier to manage, there will be no more unexpected tax bill surprises and businesses may even have the time and ability to plan ahead more. Accountants are likely to interact with more businesses than ever before in the coming months, and although their role will undoubtedly change as time goes on, this does present a great opportunity to help and advise their clients in a much broader capacity. As cash flow management and Making Tax Digital really go hand-in-hand, accountants are now uniquely placed to help the UK’s businesses fully get to grips with both. The new digital processes come into effect at the start of the next financial year in April 2019. MTD will require VAT-registered companies to keep digital VAT records, provide information to HMRC digitally using compatible software and submit returns every quarter. In the short term, accountants have a huge part to play in helping businesses make the transition to the new digital strategy. In the long-term, as businesses become familiar with the increasingly-automated systems, it’s likely that accountants will find themselves diversifying to offer a broader range of consultancy services. The time to start preparing for that change is now. Taking advantage of more contact with businesses now could help build the relationships which will hopefully survive and grow long after Making Tax Digital has bedded in. Because cash flow and MTD are so closely linked, this seems an obvious area for accountants to focus on more. As well as businesses getting a more real-time, relevant view of their financial position, there will also be a greater emphasis on paying the tax that is due, on time. Both of these require more planning and preparation. 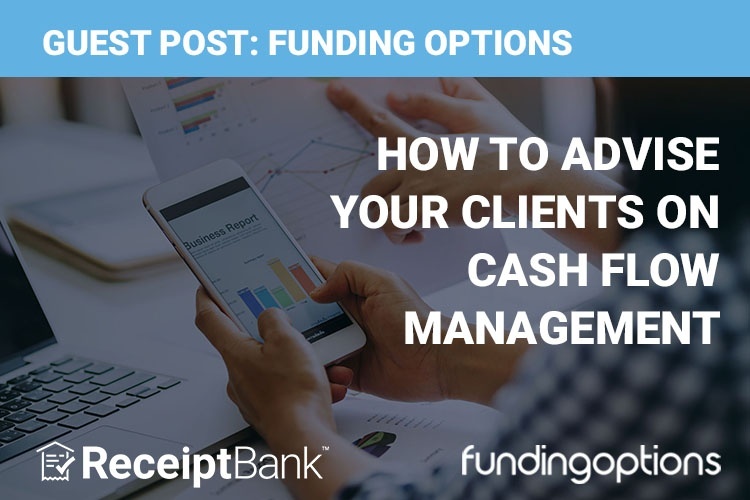 While good cash flow management essentially comes down to having more money coming in and less money going out, for some businesses this can involve some form of additional business finance. Having up to the minute information on estimated tax liabilities should help businesses ensure they remain in credit and predict more effectively if and when any additional funding is needed. Whether it’s needing an extra injection of cash to take advantage of a new growth opportunity, coping through seasonal peaks or troughs, or bridging the gap between sending invoices and receiving payment, cash flow boosts could mean the difference between make and break. Fortunately, today’s busy and thriving alternative finance market means there is likely to be a funding option to suit most businesses, in most scenarios. Accountants who build strong relationships with their clients and have good knowledge of their businesses will be ideally placed to help them find and secure the best option. There are various factors that can impact on cash flow. A common one, for example, is bridging the gap between raising an invoice and receiving payment for that. In this situation, invoice finance could provide the answer. A lender takes on the burden of the debt, paying the majority of the invoice’s value to you as soon as it’s raised, and forwarding the rest minus a service fee once it’s been paid by the customer. It could be that a customer wants to start trading overseas, where the pay cycle is even longer – trade finance can help with that. Some businesses know they are going to face seasonal demand, such as peak sales in the summer, or it could be a complete slump at Christmas. Revolving credit facilities could help in these situations as they effectively work like a loan that automatically renews – this means businesses can dip in and out as and when they need to pay seasonal workers, buy more merchandise, or pay the bills during the quiet times. Accountants are uniquely placed to provide a wider range of services to businesses, and offering advice around cash flow management is an obvious example. This could involve advising businesses on the wide range of funding options that are now available to assist in a variety of situations, whether that’s surviving through an emergency, preparing for tough times, or taking advantage of growth opportunities. Getting it right can have a positive impact across the whole business — and might mean capitalising on opportunities that wouldn’t have been possible in a different cash flow position.